David over at http://www.macbeginners.net/ has posted a screencast showing off some of Default Folder X’s features. You can view the HD version directly at vimeo if you like, too, but give David’s site a look, especially if you’re new to the Mac. 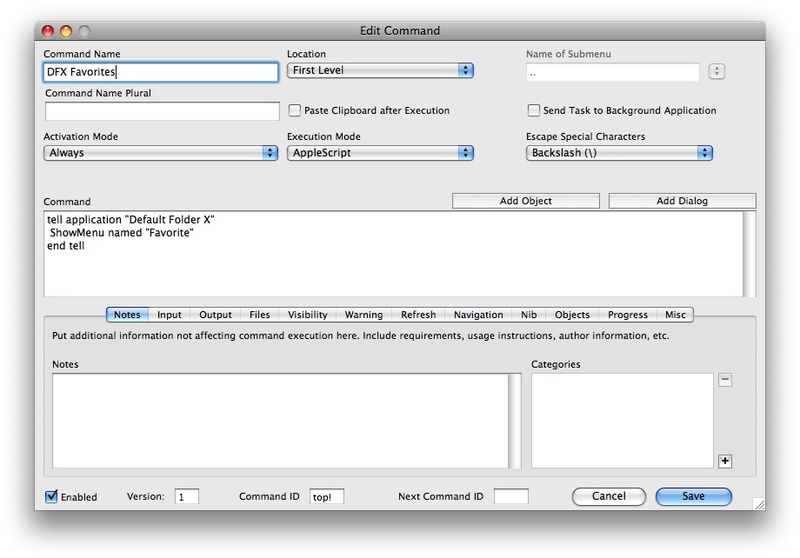 If you want to include one of Default Folder X’s menus (Favorites, Recent Folders, etc) in a Finder contextual menu, it’s easy to do with Abracode’s free OnMyCommand contextual menu plugin. You’ll get a disk image that looks like this. 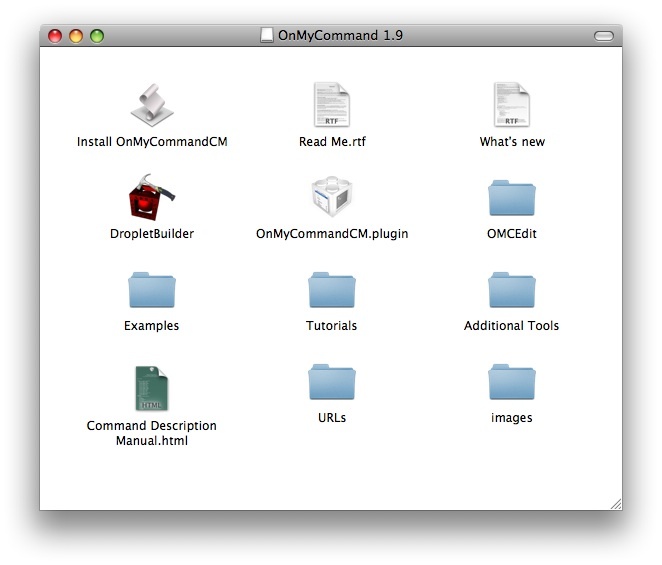 Run the “Install OnMyCommandCM” script and let it relaunch the Finder after it installs the CM plugin. Open the “OMCEdit” folder and launch OMCEdit. You’ll get a message that it needs to create a new preference file. Tell it to do so. From the “Command” menu, choose “New”. Once you save the command, it should appear in your contextual menus like so. Clicking on it will bring up the full Default Folder X hierarchical Favorites menu. You can do this same thing for other DFX menus by substituting a different name for “Favorite” in the AppleScript command you use in OMCEdit. Valid options are “Disk”, “Favorite”, “Recent”, and “Finder”. 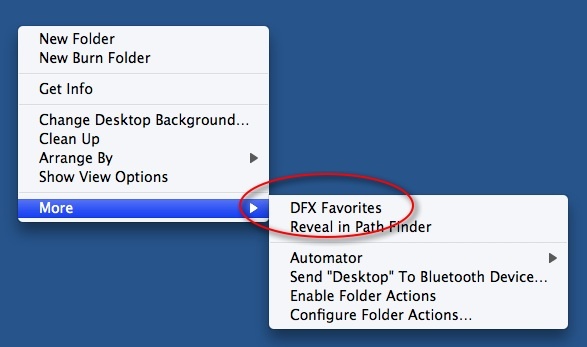 Leaving off the ‘named “Favorite”‘ entirely will pop up the entire DFX menu hierarchy as it appears in the menubar. Congrats to Michael Mistretta, who’s going to be getting a brand new iPod Touch for his winning entry in the iPhone Application Idea contest! I apologize for taking so long to judge the entries – as I said in an earlier comment, I got sidetracked a lot as I explored the feasibility of some of the entries and discovered details about the workings of the iPhone OS.